Throughout sports there are certain franchises that have a storied history that will never be forgotten. 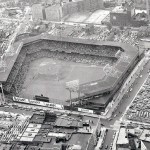 Located in Brooklyn, the Dodgers and their ballpark for over four decades Ebbets Field will never be forgotten in sports history as it is remembered as one of the most nostalgic stadiums ever built. 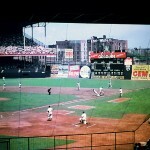 The history of baseball in Brooklyn dates back to the 1850s. 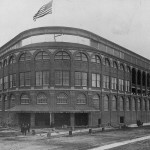 In 1884 the Brooklyn baseball club became part of the newly founded American Association where they played in the original Washington Park. Over their first 30 years, the Dodgers had a variety of names including known as the Atlantics, Grays, Bridegrooms, Grooms, Superbas and Trolley Dodgers. 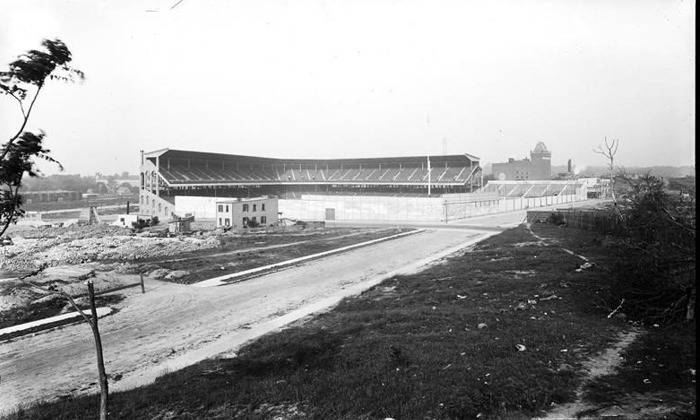 The team joined the National League in 1890 and played at the first Washington Park and Eastern Park until 1897. 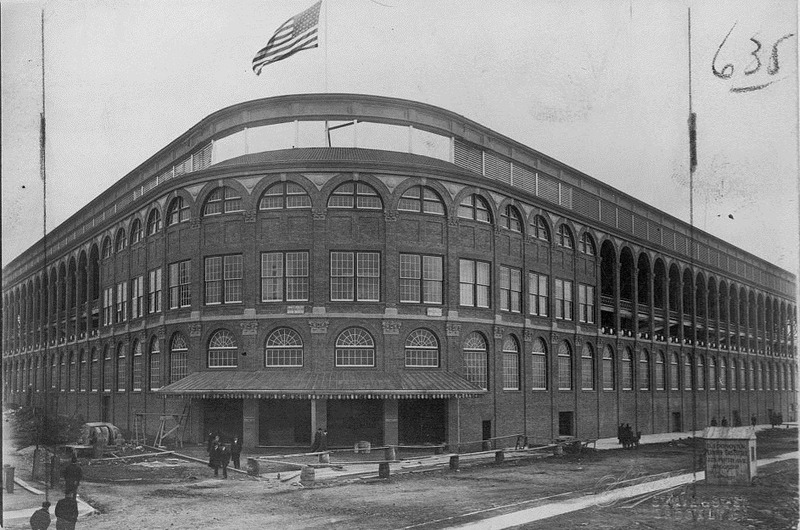 A new Washington Park was built for the team in South Brooklyn and opened on April 30, 1898. 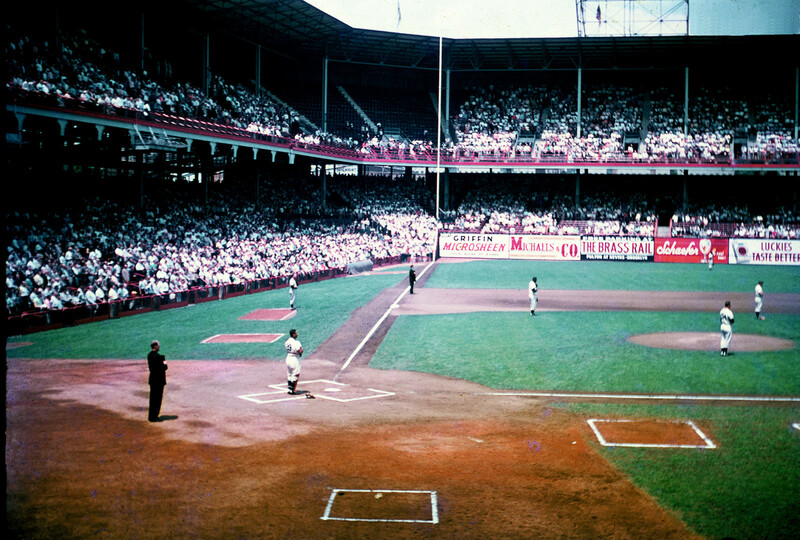 This wooden ballpark had a seating capacity of 16,000 to 18,000. Charles Ebbets bought the Dodgers in the early 1900s and wanted to build a new steel and concrete ballpark because Washington Park faced the fate of many other ballparks of the time, fire. 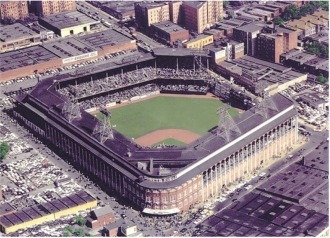 Originally Ebbets thought of building a new ballpark on the site of Washington Park but this was to determined to be to costly. 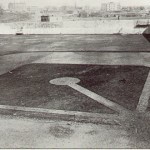 Ebbets began searching for land to construct a ballpark, finding land in the Flatbrush area of Brooklyn along Bedford Avenue and Cedar Place. Although this area was in the slums of Brooklyn, over 40 people owned parcels of land. 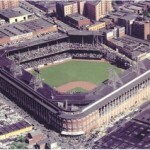 Ebbets began purchasing land in 1905, 1,200 parcels in total, before having enough land to construct a ballpark in 1912. Jackie Robinson breaks baseball’s color barrier in 1947. MVP Roy Campanella in 1951, ’53, & ’55. 40 homeruns by Duke Snider from 1953-57. 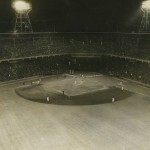 No hitter by Reds’ Johnny Vander Meer on June 15, 1938. Four homeruns by Gil Hodges on August 31, 1950. 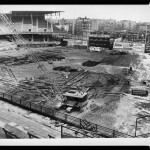 Construction on the ballpark began March 14, 1912 and Ebbets decided to name the ballpark after himself. 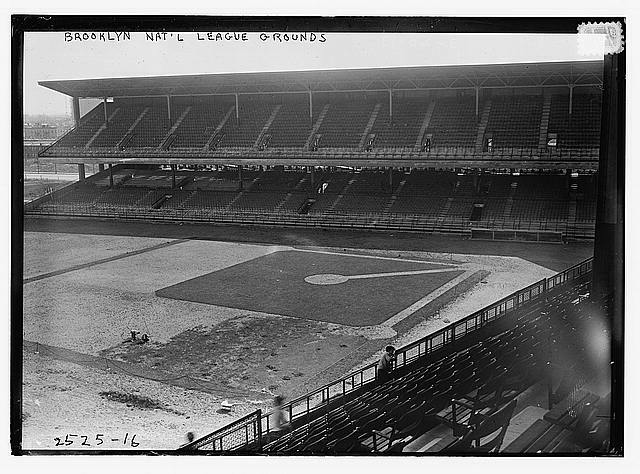 Completed in just over a year, the Brooklyn Dodgers played their first game at the ballpark on April 9, 1913, a loss to Philadelphia. 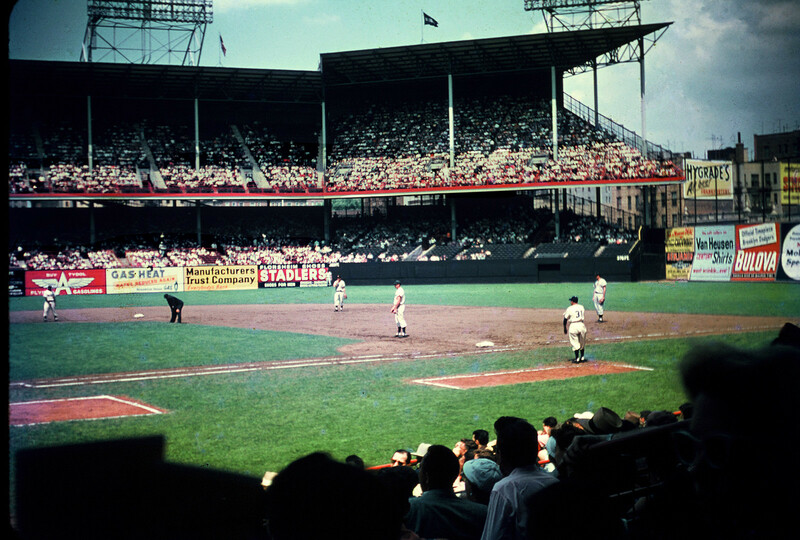 Ebbets Field had a capacity of 23,000 consisting of a covered double decked grandstand extending from the right field foul pole to homeplate and around to the third base side. A lower level of seating continued down the third base side to the left field foul pole. 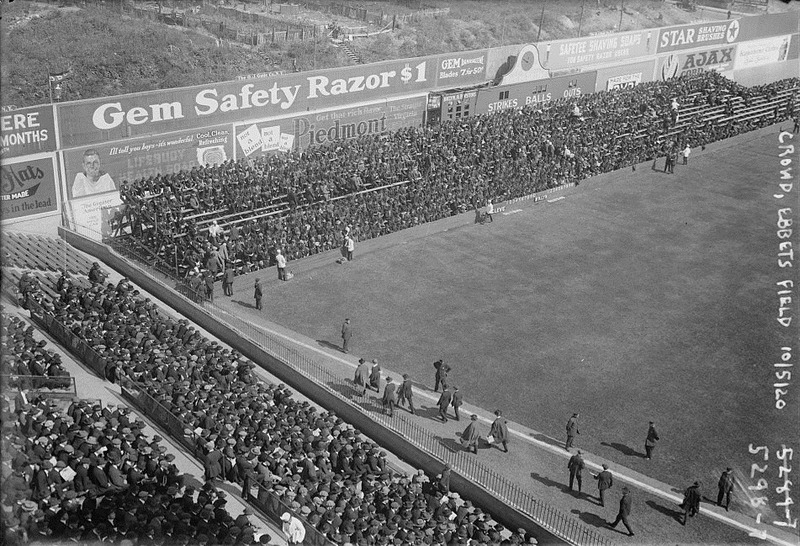 The right field wall consisted of a nine foot wall. 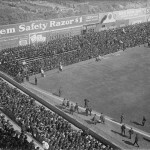 Once opening day arose a problem was discovered, there was no press box. A press box was placed in two rows of seats in the upper deck. 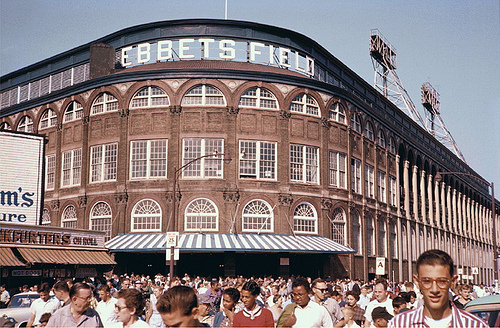 One of the most iconic features of Ebbets Field was its exterior, consisting of brick and arches. 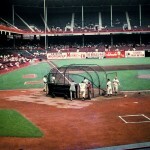 At the homeplate entrance it’s most impressive feature, an 80-foot rotunda, made of Italian marble that greeted fans. 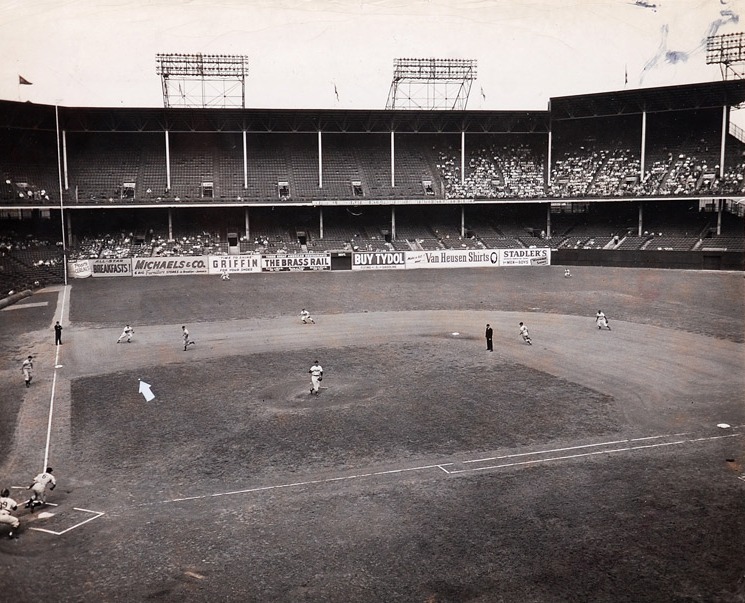 The first addition to Ebbets Field was in 1926 when bleachers were added in the outfield. In 1929, a press box was finally constructed and hung under the upper deck. 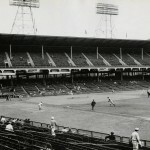 The largest addition to Ebbets Field occured in 1931 when the double decked grandstand was extended down the third base line, around the left field foul pole and into centerfield. 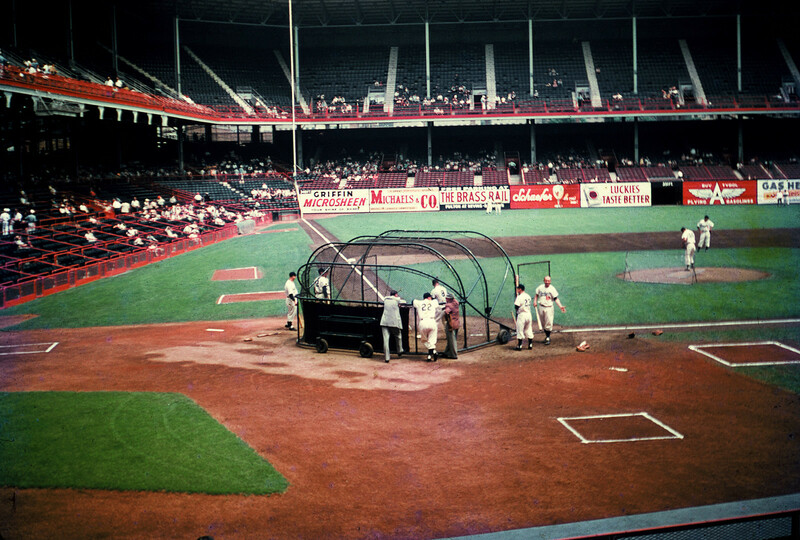 The upper deck in left field hung over the playing field. 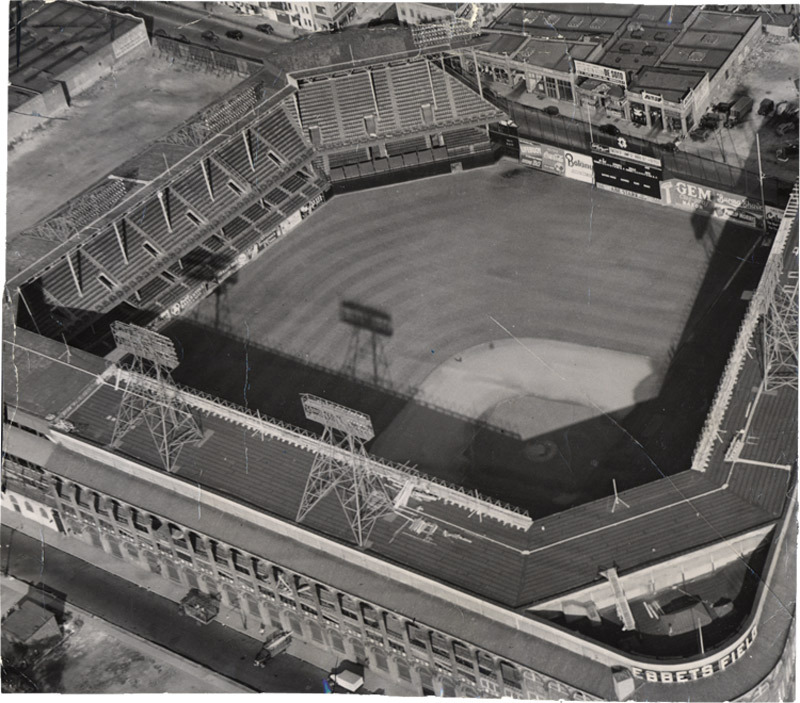 A scoreboard and a 40 ft. concave, angled in the middle right field wall was built in 1931. 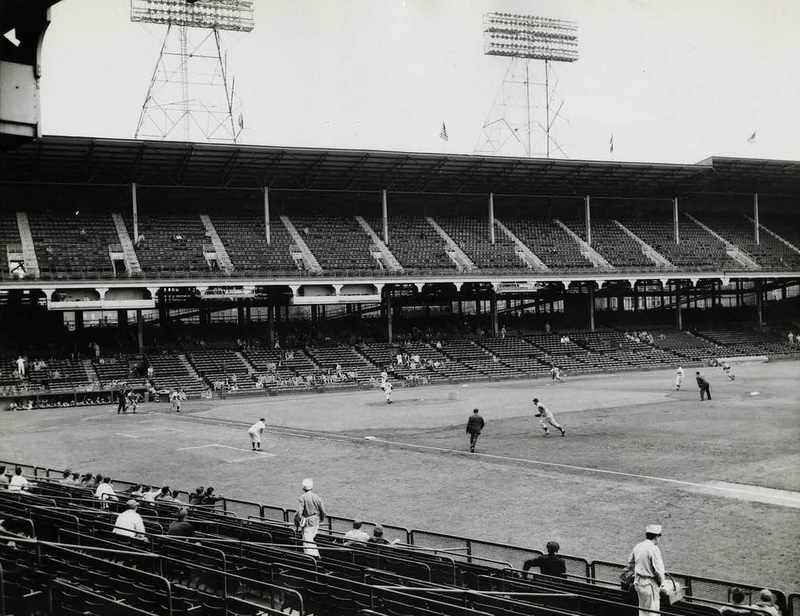 After the 1931 expansions Ebbets Field changed little during the rest of its history. 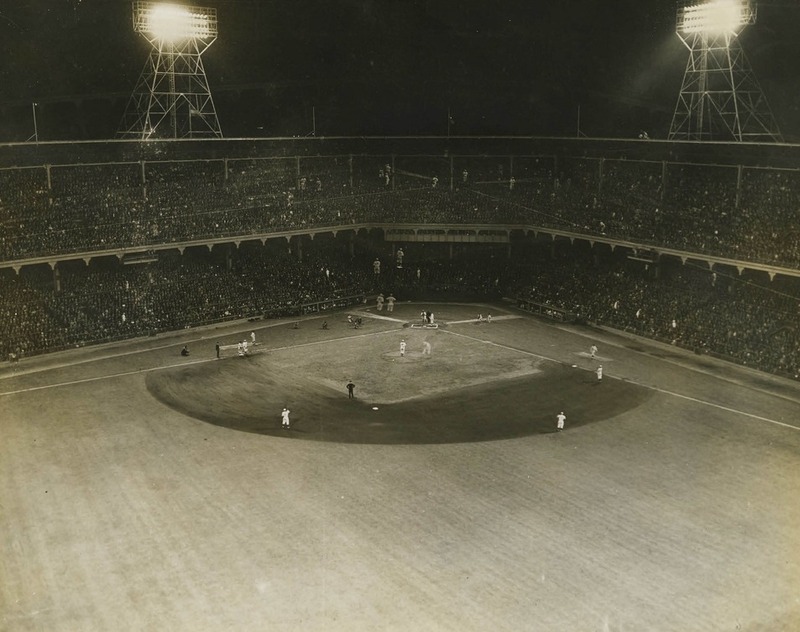 Night baseball was first played on June 15, 1938 when a no-hitter was thrown against the Dodgers by Cincinnati Reds pitcher Johnny Vander Meer. 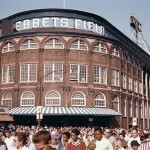 Fans of the Brooklyn Dodgers continued going to Ebbets Field to watch their Dodgers play. Hilda Chester became a popular woman who sat in the bleachers and made lots of noise with her cowbell. 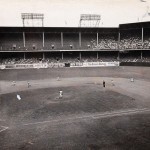 The sounds from Gladys Gooding, baseball’s first full time organist could be heard throughout Ebbets Field. 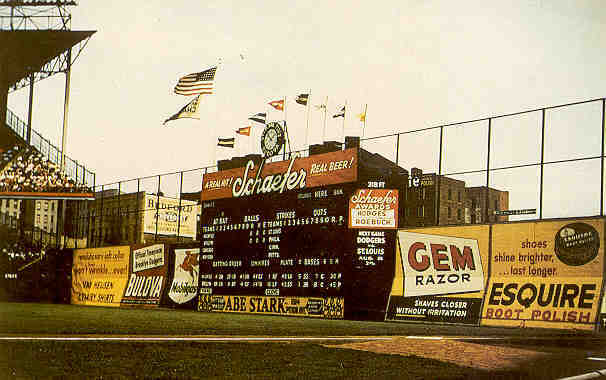 The right and left field walls became plastered with advertisements, the most famous being the Schaefer beer ad that gave the official scorer’s ruling on hits and errors. Below this ad was an Abe Stark “Hit sign, win suit” advertisement. 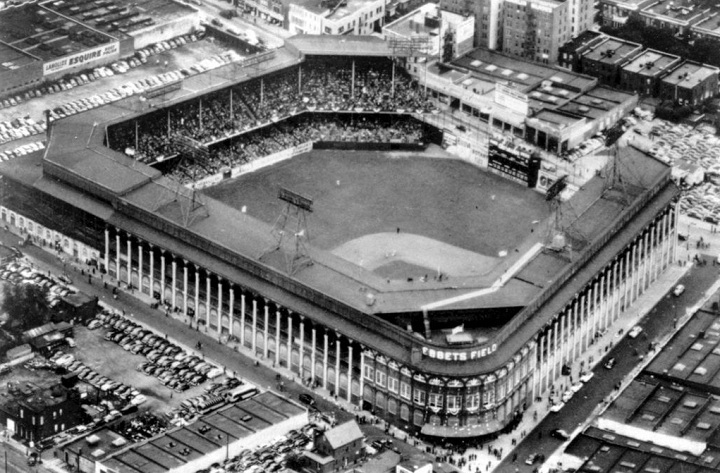 In the late 1940s and early 1950s Ebbets Field became structurally unsound, the plumbing was bad, had a small capacity and narrow aisles. It was also constrained by its location and the community was in decline. 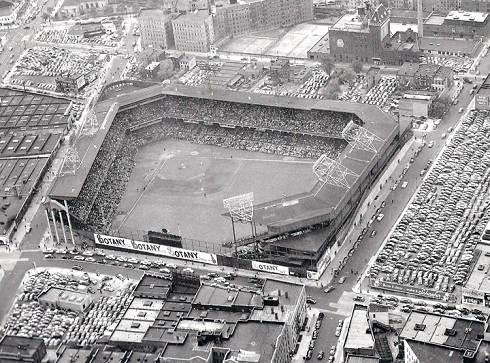 As fans moved out of Brooklyn they wanted to drive to the ballpark. 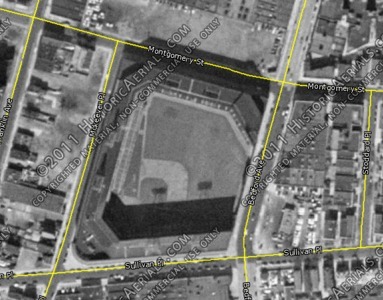 However, there was limited parking at Ebbets Field and it was far away from major roads. In 1946 Dodgers owner Walter O’Malley commissioned Captain Emil Praegar to design a new stadium. 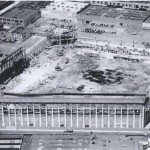 To be constructed with private funds, O’Malley did not publicly unveil this plan until 1952. If constructed it would have had a seating capacity of 52,000 and been the first stadium with a dome. 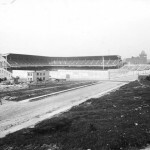 O’Malley faced several problems having a new ballpark built including acquiring land for construction. 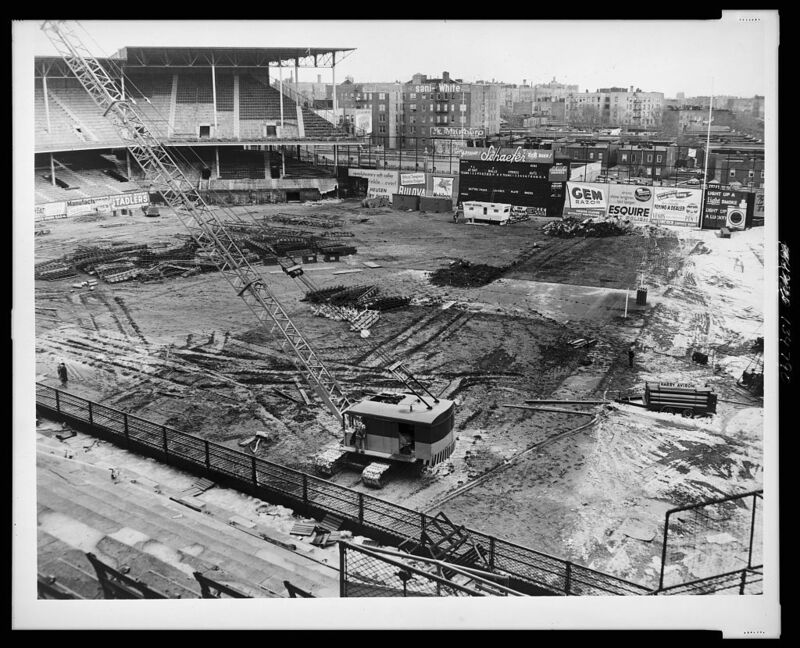 He was willing to be a tenant in a state owned stadium but opposition from the most powerful person in New York City, Robert Moses prevented this. Disagreement between Moses and the Dodgers led O’Malley to make threats that the New York Giants and Dodgers may move to California. 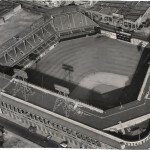 The team moved seven home games in 1956 and 1957 to Roosevelt Stadium in Jersey City, NJ as part of its negotiating tactics against the city. 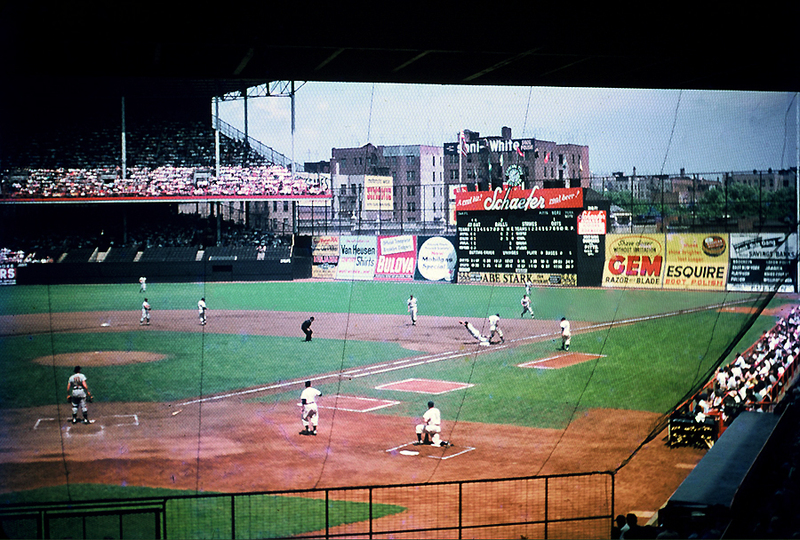 In 1955, the demise of Ebbets Field began when a real estate developer bought the ballpark. By then it became known that the Giants and Dodgers were going to move to the west coast. 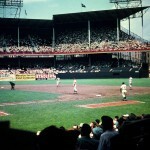 On September 24, 1957 the Dodgers played their last game at Ebbets Field, a win against the Pittsburgh Pirates. 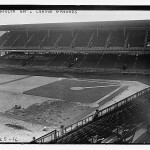 The following season they were in Los Angeles, playing at the Los Angeles Coliseum while their new ballpark, Dodger Stadium was under construction. 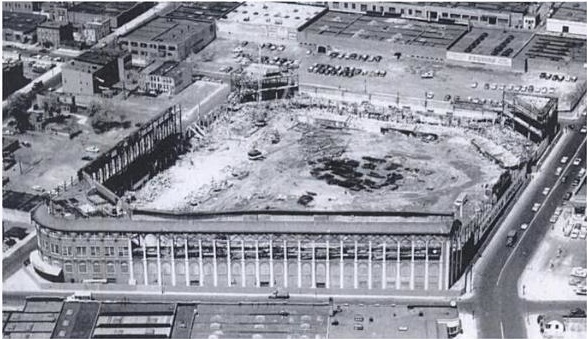 Demolition of Ebbets Field began on February 23, 1960. 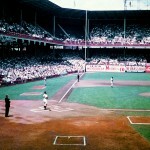 Seats from the stadium were sold for $5 and pieces of sod for 25 cents. 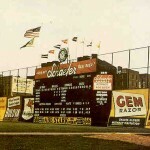 The flagpole located in centerfield was donated to a company in Flatlands, NY but its whereabouts are unknown today. Ebbets Field’s cornerstone and other artifacts are located at the Baseball Hall of Fame. 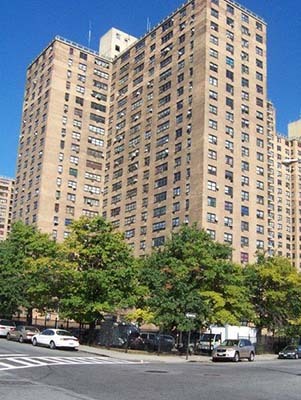 Apartments were constructed after the demolition of Ebbets Field. 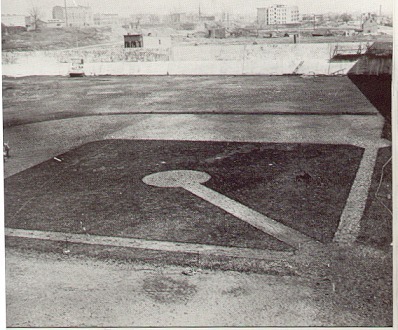 A plaque commemorates the ballpark’s existence at the site. 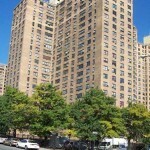 -Location: At 55 Sullivan Place, along Montgomery St., Franklin Ave., and Bedford Ave.